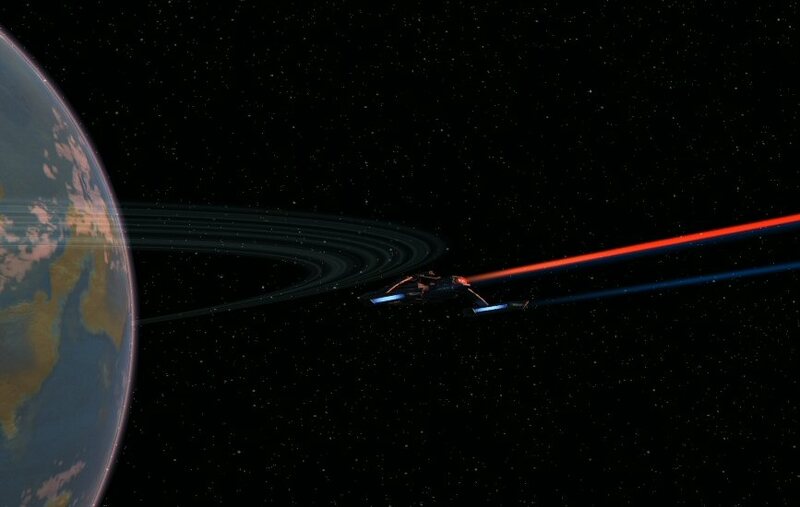 These are the voyages of the Starship U.S.S. Boursault on a continuing mission to explore strange new worlds, to seek out new life and new civilizations; to boldly sit where no one has sat before…. Stardate 01232010. 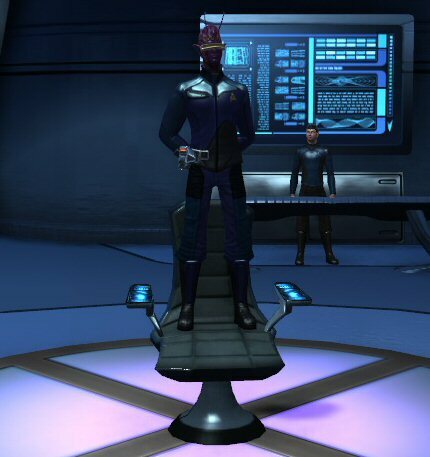 Having just left Earth spacedock after the latest patch a recent retrofit, we were taking the Boursault on a shakedown when we received an aid call from Lt. Reynaldo Fabulous and the crew of the U.S.S. Wensleydale on patrol in the Bhea System. I immediately headed for the turbolift to the bridge to get underway. 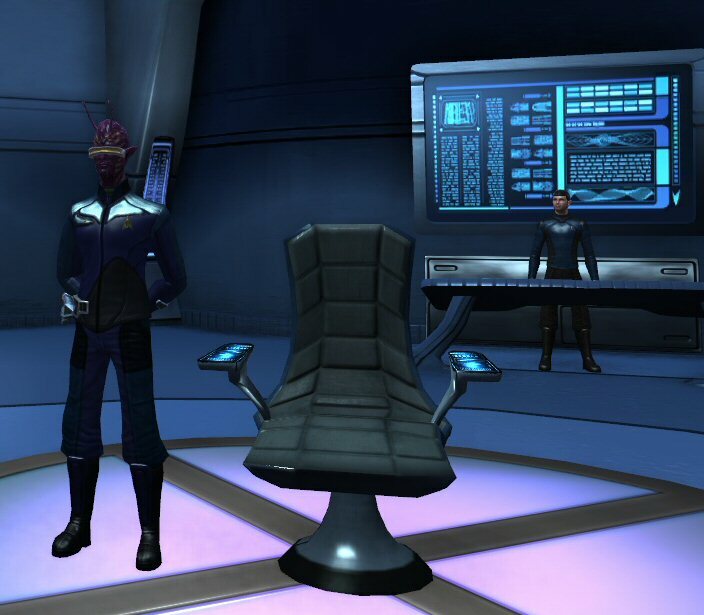 Arriving from the turbolift, I was pleased to see my bridge officers, Science Officer Cron, Tactical Officer S’Vek and Engineering Officer Delon already at their stations preparing to get underway. Bones! I can't feel my legs! LMAO!!!! The funniest commentary on the disfunctionality of STO that I have read to date. Well done!!!!!!! Rolling around in my chair (/e sitlounge) laughing! Cryptiiiiiiiiiiiiiiiic! indeed. That was pretty hilarious. 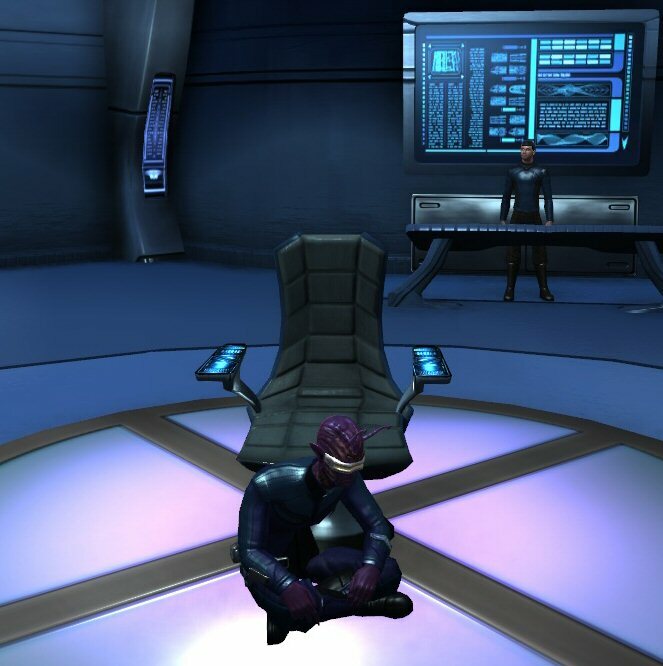 Sad thing is all new STO Captains will be going through the same troubles. That is a pretty complicated relationship you have had with that chair. And thanks for the help in the Bhea system. 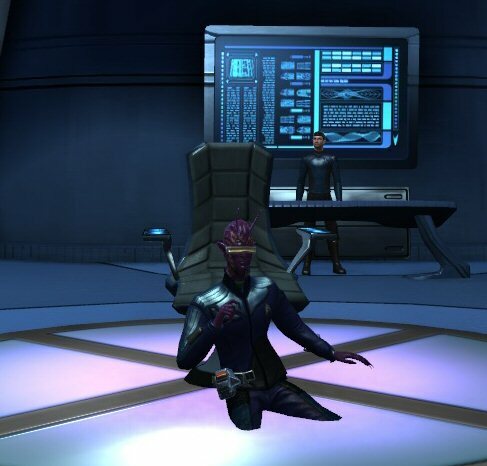 Pingback: Star Trek Online – Beta Roundup « Welcome to Spinksville! Hysterical! Coopertopper pointed me to this after a WTF picture on my blog about sitting in the chair. I mean, I can get over the deck being all window dressing. 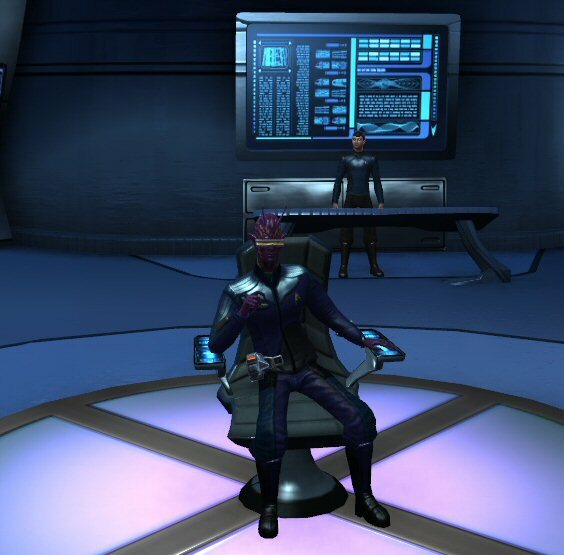 But seriously, having no clearly visible interaction to sit in the captain’s chair is fail.